Ambitious Renault hope to edge closer to the big three in Formula One next season and team head Cyril Abiteboul expects Daniel Ricciardo to “play a key role in that”. 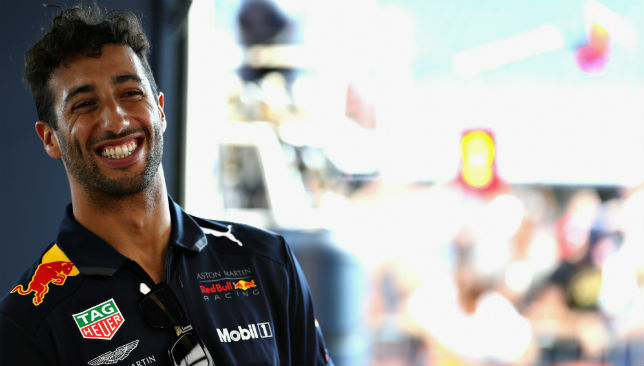 Ricciardo announced in August he would leave Red Bull after almost a decade with the British-based team following a season littered with disappointment. The popular Australian was all smiles after winning two of the opening six races this campaign as he and team-mate Max Verstappen looked to help the team close the gap to Mercedes and Ferrari. Ricciardo has not made the podium since triumphing in Monaco in May though and is actually the most-retired driver on the grid this term, with eight retirements. And Abiteboul is excited about the possibility that improved performances can be built on with Ricciardo reeled in on a two-year deal. “It’s a bit early to exactly mention or disclose our exact target for next year because first we would like to finish this season in the best possible way,” said Abiteboul ahead of Sunday’s final race of the season at Yas Marina Circuit. “But obviously we need to keep on progressing: P9, P6, P4 in the championship in two years, in three years so we would like to see that progression continuing. “We know that obviously the further you go the bigger the steps and the more demanding they will be. “We would like to see, for instance, bridging the gap closer to the top teams in qualifying, in races, not being lapped, in terms of points scoring, so this is the type of target that we will announce at the start of next season. “But you need to expect from us that we keep on progressing and completing the construction of the team and we expect Daniel to play a key role in that, just like he played a key role in Red Bull’s drive, in our opinion, on track but also off-track because we also feel that we need someone to embody that charge. Ricciardo reverting from Red Bull to Renault is one of a myriad of chair-swapping being done among F1 drivers for next season. Of the 10 teams confirmed for 2019, only constructors’ champions Mercedes and Haas will maintain the same duo – world champion Lewis Hamilton and Valtteri Bottas at Mercedes and Romain Grosjean and Kevin Magnussen at Haas. Ricciardo removing himself from Red Bull though is one of the biggest eyebrow-raisers – the Aussie has been with the team for nearly 10 years (five with Red Bull and four as a recognised F1 driver or test driver with affiliate Toro Rosso). As Red Bull team principal Christian Horner puts it, Ricciardo has “grown up with Red Bull”, with the Perth native having won seven times – his career total – with the Austrian-owned team. 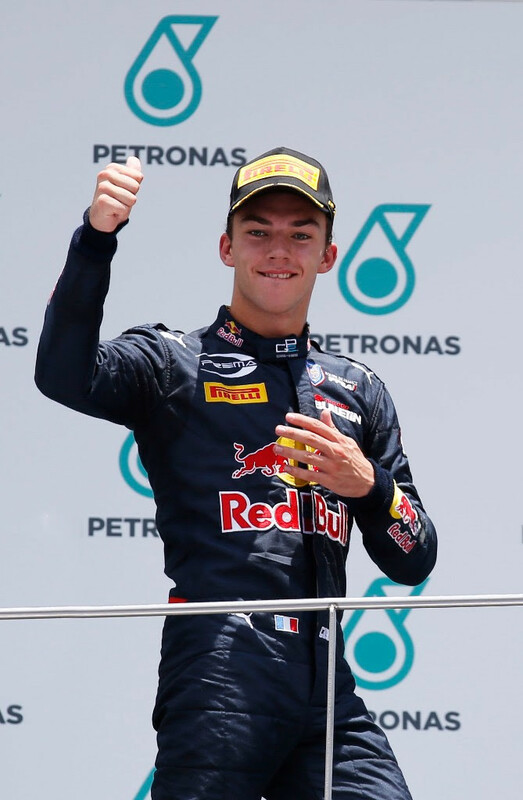 Pierre Gasly will take Ricciardo’s seat at Red Bull next season. “With Daniel, he’s been with us for 100 races, won seven of them,” said Horner. “All his seven victories, all the points he scored in Formula 1, have come in Red Bull cars. “He’s grown up with Red Bull. He was an unknown kid from Australia who arrived in Europe when Red Bull first picked him up, taking him through the junior formulas, into Formula 1 through Toro Rosso and into Red Bull Racing. “It’s been great to see his development, his growth, and he’s been a big part of our team for the past five seasons. Daniel Ricciardo is close to extending his stay at Red Bull for two more years. A two-year contract extension will see the 28-year-old continue his partnership with partner Max Verstappen in what promises to be an exciting era for the team as Honda recently signed an engine deal with Red Bull. The Australian told reporters this week that he expected to confirm a new deal “soon”. “It’s not over yet, but it will come… Soon. 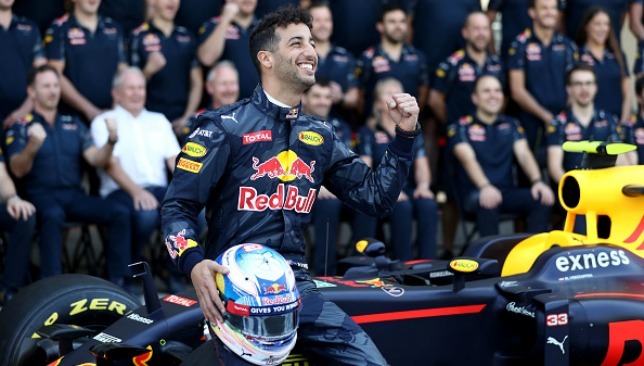 The time is not far away,” Ricciardo said. A move to Ferrari or Mercedes seems unlikely for the racer, who will be out of contract at the end of the year. Ferrari have been strongly linked with a move to sign Monegasque Charles Leclerc as Kimi Raikonnen‘s replacement while Mercedes might retain an unchanged line-up for 2019. “Mercedes and Ferrari both have a number one driver who is clearly declared,” said Marko. “I know Ricciardo did not receive an offer from Ferrari and Renault, as far as I know, will stay with their current drivers. “Above all, Renault I don’t think are in the budget region that Ricciardo has in mind. He has no sporting alternative to us, even if he probably imagined it differently. Team principal Christian Horner hopes Red Bull‘s gamble to ditch Renault for Honda engines will fire them back to Formula One glory. 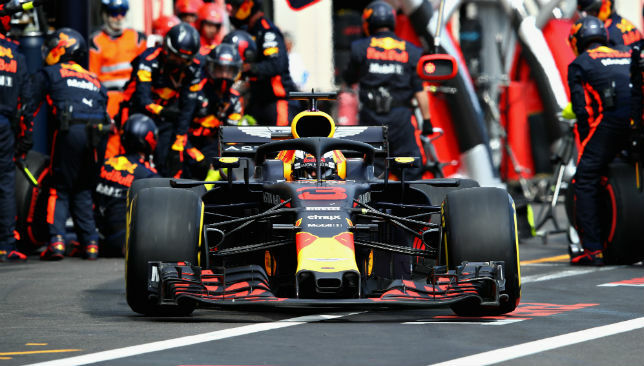 Red Bull confirmed ahead of this week’s French Grand Prix that they are divorcing from Renault, a partnership which yielded eight drivers’ and constructors’ championships, at the end of the year. Red Bull’s relationship with the French manufacturer has turned sour in recent seasons, and the former world champions believe a move to Honda power for the next two years will provide them with their best chance of usurping Mercedes and Ferrari. 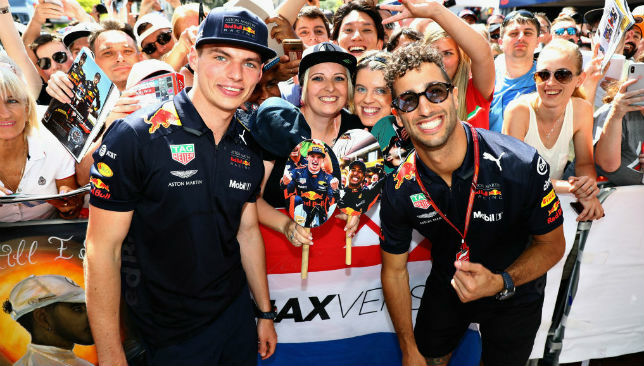 Daniel Ricciardo, a two-time winner for Red Bull this season, is out of contract at the end of the year, while Dutchman Max Verstappen, 20, is tied down to the team for at least another two seasons. 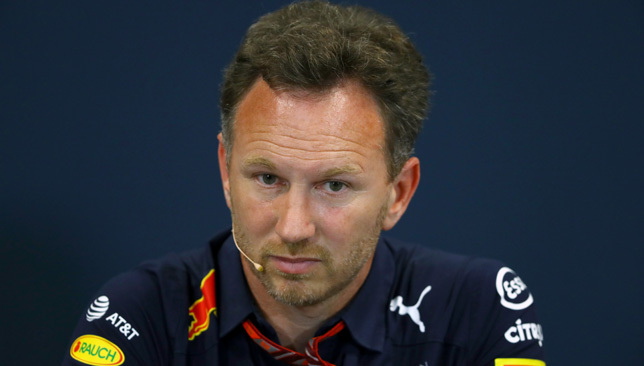 Horner said: “This multi-year agreement with Honda signals the start of an exciting new phase in Aston Martin Red Bull Racing’s efforts to compete not just for grand prix wins but for what is always our goal – championship titles. McLaren blamed Honda for their miserable failings in recent years, and paid roughly £60million to severe ties with the Japanese manufacturer midway through their long-term deal. But the British team’s troubles have deepened this season, despite switching to Renault engines, while Honda’s stock has risen since they teamed up with Red Bull’s junior team Toro Rosso. Horner added: “We have been impressed by Honda’s commitment to F1, by the rapid steps they have made in recent times with our sister team Toro Rosso, and by the scope of their ambition, which matches our own. Sebastian Vettel won four consecutive championships as Red Bull proved the sport’s dominant force between 2010 and 2013, but the Milton Keynes team has been off the pace of both Mercedes and Ferrari in the hybrid era. Red Bull have closed the gap to the top two teams this year, however, and in Ricciardo and Verstappen boast arguably the best driver pairing on the grid. Ricciardo, 28, is interested in a move to Mercedes or Ferrari, but it is probable that Valtteri Bottas will be retained alongside Lewis Hamilton by the former. Vettel meanwhile, is unlikely to want the Australian to challenge his number one status at Ferrari.